Extremely creamy and soft, will definitely be buying more again! First time I have eaten these products,and they are superb tasting. I will be buying more and will try to get my local sweet shop to get some in. I was given a hamper for Xmas and it had your toffee bars, liquirish, and banana flavour. Yummeeeeee. 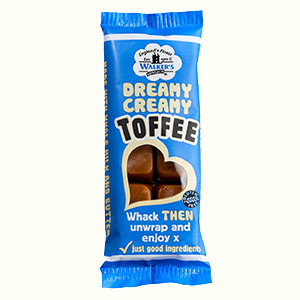 Yummmm….These taste just like Werthers original if you are from the U.S and wanna try….